HC held that denial of benefit of waiver of crop loans to the farmers who had cultivated lands exceeding 5 acres is a clear discrimination violating Article 14 of the Constitution of India. In such view of the matter, we hold that the petitioner is entitled for the relief as prayed for. In the result, the writ petition is allowed with a direction to the respondents to extend the crop loan waiver scheme in G.O.Ms.No.50, Cooperation, Food and Consumer Protection (CC1) Department dated 23.05.2016 and G.O.Ms.No.59, Cooperation, Food and Consumer Protection (CC1) Department dated 28.06.2016 to all the farmers including the farmers whose land holding is more than 5 acres and we further direct the first respondent to issue necessary consequential order extending the impugned scheme to all the farmers and the said order shall be issued within three months from today. Consequently we restrain the respondents from initiating action against the farmers for recovery of the crop loan outstanding due to the Co-operative Societies / Banks as on 31.03.2016. Consequently, the connected miscellaneous petitions are closed. No costs. 1. The weather became erratic. The monsoon failed. The rainfall was very poor. The dams and water bodies dried up. Mettur dam completely failed due to the water dispute with the Government of Karnataka. The crops withered away. The cattle in the agricultural farms died. This was between 2011 to 2014. In 2015, it was floods across the State of Tamil Nadu which drowned the crops. The farming community suffered irreparable loss. They were pushed into utter poverty. They could not repay the crop loan raised from the cooperative societies / banks and other financial institutions. But the societies / banks and other financial institutions did not stop taking legal action to recover the said loan outstanding. Unable to bear the loss and the pressure and harassment from the financial institutions, many farmers took the extreme step of committing suicide. Therefore, in an attempt to voice these grievances of the farmers, various agriculturists associations including the petitioner made demands to the Government, both at the Center and at the State, to extend their helping hands by granting relief to the farmers so as to liberate them from penury and to prevent further suicides. There were strikes and agitations by the farmers as their grievances were not heard. 2. When things stood thus, in the year 2016, the general election for the Tamil Nadu Legislative Assembly was The election was held during the month of May, 2016. Some of the major political parties who contested in the election gave assurances to the farmers that the crop loans raised by them would be waived by the new Government to be formed. After the election, the newly elected Government took charge on 23.05.2016. On the very same day, to fulfill the promise made in the election manifesto of the party which regained power, the Government, issued G.O. Ms. No.50, Cooperation, Food and Consumer Protection (CC1) Department dated 23.05.2016 granting waiver of outstanding crop loan for medium term (agriculture) loan and long term (farm sector) loan issued to “Small” and “Marginal Farmers” by the Cooperative Societies / Banks as on 31.03.20 16. 3. For the effective implementation of the said Government Order, the Government issued guidelines by way of G.O.Ms.No. 59, Cooperation, Food and Consumer Protection (CC1) Department dated 28.06.2016. Thereafter, the Registrar of Cooperative Societies issued a Circular in Circular No.Na.Ka.No. 47/2006-07/T.1 dated 07.07.2006 issuing further guidelines to the cooperative societies / banks for the effective implementation of these two Government orders. 4. In these Government orders, as we have already pointed out, the waiver of the outstanding crop loan – medium term (agriculture) loan and long term (farm sector) loan as on 03.2016 was given only in favour of small and marginal farmers and not for the other farmers. As per the above Government Orders, a marginal farmer is the one whose “land holding” is up to 2.5 acres and a small farmer is the one whose “land holding” is from 2.5 acres to 5 acres as recorded in the land holding register and loan register of the society / bank at the time of sanction of loan. Thus, the farmers who have got land holdings of more than 5 acres are not extended the benefit of this crop loan waiver. 5. In this writ petition, the petitioner challenges the above Government orders on the ground of discrimination and arbitrariness as, according to him, it materially discriminates the farmers whose “land holding” exceeds five acres. The petitioner claims that the said benefit of the Government orders should have been extended to all farmers irrespective of the extent of their agricultural land holdings as on the date of sanction of loan. Honourable Chief Minister has made a promise in the Election Manifesto for the General Elections to the Tamil Nadu Legislative Assembly – 2016 to the effect that the Crop Loan, Medium Term Loan and Long Term Loan payable by the small and marginal farmers to Cooperative Banks will be waived. 2. In pursuance to the above, the Government examined the matter and accordingly order that the outstanding Crop Loan, Medium Term (Agriculture) Loan and Long Term (Farm Sector) Loan issued to the small and marginal farmers by the Cooperative Banks as on 31.03.2016 be waived. 3. Necessary funds for this purpose will be provided to the Cooperative Banks by the Government. Detailed guidelines in this regard will be issued separately. 4. This order issues with the concurrence of the Finance department vide its U .O. No. 1490/ACS(F)/P/16, dated 23.05.2016. Societies as on 31.3.2016. It was also ordered that the detailed guidelines in this regard will be issued separately. 2. In the reference second read above, the Registrar of Co-operative Societies has propose for guidelines for waiver of Crop Loan, Medium Term (Agriculture) Loan and Long Term (Farm Sector) Loan payable by the small and marginal farmers to the Cooperative Societies for approval of the Government. 3. The Government, after careful examination, accepts the proposal of the Registrar of Co-operative Societies and accordingly, orders that the guidelines as detailed in the annexure to this order be followed scrupulously for implementation of the scheme. 4. The Registrar of Co-operative Societies is requested to send a consolidated proposal to the Government for issuing necessary specific orders on quantification and reimbursement of waived amount at the earliest. 5. This order issues with the concurrence of the Finance Department vide its U .O. No. 2062/ACS(F)/P/16, dated 28.06.2016. 7. The learned counsel for the petitioner Mr.S.Muthukrishnan would submit that the impugned Government orders discriminate the agriculturists by making an unreasonable classification as marginal farmers, small farmers and other farmers. The learned counsel would submit that the object of extending the benefit of the loan waiver, though not indicated in the Orders, obviously is to protect the welfare of the farming community who have suffered huge loss due to drought like situation between 2011 to 2014 and floods during the year 2015 and the other natural calamities. Since all the farmers have suffered equal loss and they stand in the same footing, they should have been treated alike and not differently. He would further submit that there is no rationale behind the classification of the farmers into three groups. There is no intelligible differentia taken note of by the Government. This classification, according to the learned counsel has no nexus to the object which is sought to be achieved by the said policy of the Government. 8. But in the counter filed by the first respondent, it is stated that small and marginal farmers form a class by themselves and that the said classification would not amount to any discrimination. It is submitted by Mr.R.Muthukumarasamy, the learned Advocate General that these small and marginal farmers, though operating only on 44% of the land under cultivation in the nation, are the main producers of food crops and giving food security to the nation with limited access to technology, inputs, credit, capital and markets. The small and marginal farmers have higher productivity compared with large sized holdings and they are contributing high to the pool of food grains production. In order to ensure livelihood security of marginal and small farmers, it is necessary to focus on their financial and technological needs and infrastructure including diversified avenues for gainful employment in the non-farm sector for better livelihood. Increased indebtedness is a major cause for the spurt in farmers suicides during the recent rimes across a number of States. Keeping these facts in mind, the Government announced the waiver scheme, the learned Advocate General contended. 9. The number of small and marginal farmers benefited under the impugned Government Orders is 16,94,145 by waiving Rs.5,780 crores, wherein, if the Government allows waiver of the balance of the crop loan of Rs.1980.33 of the other farmers, then the number of more beneficiaries would be just 3,01,926. Maximum beneficiaries with a minimum fund is the underlying policy of the Government. So, with the larger public interest, the Government has framed this policy after considering the vital parameters viz., budgetary allocation, revenue mobilization, the position of the farmers, vis-a-vis their land holdings and other considerations. Thus according to the respondents, the classification of farmers into three groups for the purpose of loan waiver was made on relevant parameters and thus, there is no arbitrariness. It is further stated in the counter that the small and marginal farmers are affected very much by the onslaught of lower yield, crop loss, drought, flood and crop failure. Because of their meager income and resources, they are really in need of assistance from the Government by way of waiver of loan for their very survival and rehabilitation. But that is not the case of big farmers, who can survive and thrive with the resources available with them. Further the intention of the Government itself is to safeguard the small and marginal farmers it is contended. It is further stated in the counter that the financial resources available with the Government did not afford to permit loan waiver to all farmers and hence the Government has given the benefit of the scheme only to small and marginal farmers. 10. It is further stated in the counter that the National Bank for Agriculture and Rural Development (NABARD), which is a national level organisation, circulated a communication on Agricultural Debt Waiver and Debt Relief Scheme, 2008 in its news letter Volume19, May 2008 No.12, wherein the classification of farmers was defined as “marginal farmers” and “small farmers”. It is further stated that the ‘Debt Waiver and Debt Relief Scheme, 2008’ has been followed by the Government of Tamil Nadu while issuing the present Government Orders. Thus, according to the Government, the classification made aforesaid is on sound reasons. It is also contended by the learned Advocate General that granting waiver of loan falls within the domain of the policy decision of the Government, into which, the Court, in its writ jurisdiction, cannot interfere with. 11. We have considered the above submissions. 12. Article 14 of the Constitution of India primarily is a guarantee against arbitrariness in the State action. The Doctrine of classification has been evolved only as a subsidiary rule for testing whether a particular State action is arbitrary or Thus, though Article 14 permits classification, it completely prohibits class legislation. The classification, to be reasonable, must be based on some real and substantial bearing and reasonable relation to the object sought to be achieved. The classification must be founded on the intelligible differentia which distinguishes persons or things that are grouped together from others left out of the group. Such differentia must have a rational relation to the object sought to be achieved. In other words, there must be a clear nexus between the basis of classification and the object sought to be achieved. Thus, it is too well settled that the power of judicial review can be extended to test as to whether the classification is founded on intelligible differentia and whether it has got nexus to the object sought to be achieved. 15. This view was reiterated by the Hon’ble Supreme Court subsequently in Cellular Operators Association and others Vs. Union of India and others reported in (2003) 3 SCC 186 and in another case in Clariant International Limited Vs. Securities & Exchange Board of India reported in (2004) 8 SCC 524, wherein, the Hon’ble Supreme Court has held that the legislative policy must conform to the provisions of the Constitutional mandate and to that extent a policy decision can be subjected to judicial review. As held by the Hon’ble Supreme Court in the above judgment, the fact that fair, just and equitable procedure has not been followed in formulating the policy is a matter falling within the purview of judicial review under the writ jurisdiction. 18. From these judgments, it is crystal clear that the power of judicial review can be exercised by this Court to examine as to whether the policy of the Government conforms to the provisions of the Constitutional mandate and whether the said policy in question was formulated keeping in mind all the relevant facts so as to achieve the object of the policy. The said policy classifying a group of individuals and extending some benefit only to them and keeping the others out of the benefit can be examined and declared unconstitutional if the classification has not been made on any intelligible differentia and if it is demonstrated that there is no nexus between the classification and the object sought to be achieved. The Court can also go into the question as to whether fair, just and equitable procedure was followed by the State in formulating the policy making classification of individuals to extend the benefit to a group and denying the benefit to those who are outside the group. 19. In the instant case, we have the benefit of going through the entire file relating to the issuance of the above stated Government Orders. As we have already extracted, O.Ms.No.50, states that the Hon’ble Chief Minister made a promise in the election manifesto of her political party for the general elections to the Tamil Nadu Legislative Assembly – 2016 that the medium term crop loan and long term crop loan payable by the small and marginal farmers to cooperative societies / banks will be waived. It is further stated that in pursuance of the above promise, the Government examined the matter and accordingly ordered that the outstanding crop loan, medium term (agriculture) loan and long term (farm sector) loan issued to the small and marginal farmers by the cooperative societies / banks as on 31.03.20 16 will be waived. 20. The file also contains the election manifesto of the political party to which the Hon’ble Chief Minister belonged to. The said election manifesto states that the agricultural loan, both long term (farm sector) loan and medium term (agriculture) loan, secured by small and marginal farmers will be waived. Only in pursuance of the said promise made by the political party in the election manifesto, the Government order in G.O.Ms.No.50 came to be issued. There is no indication in the file that the Government took into account any other material factors relevant to the policy. There is also no indication as to why such classification of the farmers as marginal farmers, small farmers and other farmers was necessitated. 21. Strangely, only in the counter filed by the respondents, it is stated that the small and marginal farmers were very much affected by the crop loss, drought, flood and crop failure and therefore they were extended the benefit. It is further contended by the respondents that because of their meager income and resources, the small and marginal farmers were really in need of assistance from the Government by way of waiver of loan for their very survival and rehabilitation. The counter further states that in the case of big farmers, they can survive and thrive with the resources available with them. But, as we have already pointed out, in the files relating to the impugned Government orders there is no indication that these factors were really considered by the Government before evolving the above policy to classify the farmers as marginal farmers, small farmers and other farmers. The file relating to G.O.Ms.No.50 also does not contain any material to show that the small and marginal farmers alone were affected very much by the onslaught of crop loss, drought, flood and crop failure as it is stated in the counter. 23. In more than one place, in the files it is reiterated that in pursuance of the announcement made in the All India Anna Dravida Munnetra Kazhagam election manifesto, the department proposed to waive the crop loan, medium term loan and long term loan payable by the small and marginal farmers to the cooperative banks as on 31.03.2016 to the tune of Rs.5,780 crores. Thus, though it is now submitted to this Court, both by way of counter as well as by way of oral submissions, that the Government took into account the loss sustained by the small and marginal farmers and also the fact that the small and marginal farmers alone were in need of assistance from the Government by way of waiver of loan for their very survival and rehabilitation and that the other farmers can survive and thrive with the resources available with them, there is nothing stated in the file so as to reflect that the Government had in mind these factors. Therefore, it is crystal clear that the Government evolved the policy to give waiver of crop loan to small and marginal farmers because that was in the election manifesto of the particular political party. Thus, it is also crystal clear that the Government had not taken into account any relevant fact to make the above classification of farmers and to limit the benefit of the waiver only to marginal and small farmers. 26. The learned counsel for the petitioner pointed out that the term “land holding” has not been either defined in G.O.Ms.No.59 or in the guidelines issued by the Registrar of Co-operative Societies. The guidelines issued under the G.O. and by the Registrar of Cooperative Societies only state that the classification of farmers as small and marginal farmers for the purpose of this scheme would be the same as recorded in the land holding register and loan register at the time of sanction of agriculture loan. The learned counsel would highlight the expression “at the time of sanction of agricultural loan” and contend that the land holding register or the loan register prepared at the time of sanction of agricultural loans would not reflect the actual land holdings of the farmers. We find force in the said contentions. 27. It is not in dispute before us that when a farmer applies for agriculture loan, he is not required to disclose his entire land holdings for the purpose of granting loan. It is enough if he discloses the extent of land for which he applies for loan for cultivation. Thus, in the land holding register and loan register as against the said farmer the extent of the lands mentioned by him in the loan application alone would be entered and not his entire land holdings. Similarly, a farmer may make applications for agricultural loan to more than one cooperative society / bank, if he has got lands in more than one village falling under the jurisdiction of different societies / banks. In the application for loan made to ‘A’ society / bank he would mention the extent of lands falling with the jurisdiction of the said society / bank and in the application made to ‘B’ society / bank he would mention the extent of lands falling within the jurisdiction of ‘B’ Society / bank. Thus, there is no requirement that the farmer should disclose his entire land holdings falling within the jurisdiction of one cooperative society/ bank or different cooperative societies / banks. Thus, it is quite obvious that the land holding register maintained in a society / bank shall not reflect the actual land holding of a particular farmer. For example, if his actual total land holdings is 20 acres and if he has shown only less than 5 acres of lands at the time of applying for agricultural loan, he will be still treated only as a small farmer. If an agriculturist who owns a little more than five acres applies for the same amount of loan, but mentions the entire extent of his land holdings, he shall be treated as other farmer and thus, he will not be eligible for the benefit of loan waiver. Similarly, for example, if a farmer who has got lands within the jurisdiction of four cooperative societies / banks and applies for loan from all the four societies / banks mentioning less than 5 acres before each cooperative society / bank, he will be treated only as a small farmer by each society, though he actually owns and cultivates more than 20 acres. Thus, the method adopted to identify the farmers either as marginal farmers or small farmers or other farmers is demonstrably irrational. When we asked the learned Advocate General whether this anomaly persists, the learned Advocate General, on instructions, submitted that there is no mechanism to verify the actual land holding of a farmer for the purpose of classification. In our considered view, if the policy of the Government is to really safeguard the interest of the small and marginal farmers who have suffered loss in the agricultural production, the identification of the small farmers and marginal farmers should be based on the actual land holdings of the farmers and not merely on the land holdings entered in the land holding register and the loan register which are based on the unilateral disclosure made by the farmer concerned. Because of this anomaly, as rightly pointed out by the learned counsel for the petitioner, innumerable undeserving farmers would have got the benefit whereas, the deserving farmers would not have. As found in the report of the committee, when the above scheme was implemented, there were wrongful omission of entitled farmers and wrongful inclusion of dis-entitled farmers for the loan waiver. Obviously, these relevant facts were not considered by the State Government before formulating the guidelines now under challenge. In the instant case, as we have already discussed, there were innumerable cases of wrongful inclusion of ineligible farmers for the waiver of loans and also wrongful omission of innumerable eligible farmers for the waiver of loan on account of the illogical, ineffective, impractical and irrational method adopted to identify the farmers based solely on land holding register / land register maintained in the cooperative society / bank concerned without having any reference to the revenue records to assess the actual land holdings of the individual. 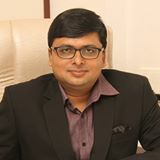 Further, when the object sought to be archived by the Union Government’s Scheme 2008 and the object sought to be achieved by the impugned Government orders are fundamentally different, it cannot be contended that the parameters taken into account by the Central Government for making such classification could be made applicable mutatis mutandis to the classification made by the State Government. At the risk of repetition , we wish to reiterate that the classification of the farmers made by the Union government was based on relevant parameters whereas the classification made by the State Government is based only on the election manifesto. Thus, the reference to the classification made by the union Government to the classification made by the State Government is inappropriate. Therefore this contention of the learned Advocate General is liable to be rejected. Bench of this Court in R.Karuppan Vs. Government of India reported in 2008 5 MLJ 785 while a similar prayer was made for the extension of waiver of loan to all farmers under the Agricultural Debt Waiver and Debt Relief Scheme, 2008 announced by the Central Government, the Division Bench negatived the said request. The Division Bench held that the policies are framed by the appropriate Government in larger public interest and as a welfare measure and possibly to tide over any emergent situation. The Division Bench further went on to say that in such cases, it is difficult for a Court to interfere primarily in view of the fact that formulation of such policies pertains to the exclusive domain of the executive wing of the State. The Division Bench further stated that no one has a right to get waiver of the loan he takes. Placing reliance on the said judgment, the learned Advocate General submitted that in the instant case, since facts are similar, the writ petition should be dismissed. 30. We are not at all persuaded by the said argument for more than one reason. First of all, the above writ petition was filed by one Mr.R.Karuppan based on the newspaper reports. There were no materials before the Court to justify the prayer for extension of loan waiver for all farmers irrespective of the extent of the land holdings. A deep perusal of the above judgment would make it very clear that there were no materials placed before the Division Bench to demonstrate that the classification was intelligible. It was in these circumstances the Division Bench refused to interfere. While considering the classification in the said Central Government scheme, we have already held in the previous paragraphs that the Union Government had considered all the relevant parameters before classifying the farmers so as to achieve the object. But in the instant case, there was no such consideration of relevant facts before making the classification in order to take forward the object. Therefore, in our considered view, the said judgment cannot be taken as a precedent more particularly in the light of the judgments of the Hon’ble Supreme Court cited herein above in respect of the power of judicial review relating to the policy decisions of the Government. As we have already held, in the instant case, on facts, we have found that the classification was not made on any intelligible differentia and there is no rationality in the method adopted for identifying the farmers. Therefore, the said judgment of the Division Bench of this Court would not in any manner come to the help of the Government. We are very conscious that we should not allow ourselves to enter into the domain of the policy of the government. But in the instant case, we are sure that we are not entering into the domain of the policy of the government but we only say that the classification is discriminatory and unconstitutional and if once it is so declared as a corollary the benefit shall stand extended to all the farmers as the classification will disappear. 31. The learned Advocate General further submitted that if the said scheme is to be extended to the other farmers also, the Government has to incur additional expenditure to the tune of Rs.1980.33 crores. It is the contention of the learned Advocate General that the financial position of the Government is not so conducive to bear the said burden. During the course of hearing of this writ petition, in fact, we invited the learned Advocate General to get instructions from the Government as to whether the Government will be willing to extend the benefit of loan waiver to all categories of farmers taking into consideration the fact that the additional liability would be only Rs.1980.33 crores. The learned Advocate General later on informed us that he wrote to the Government and received a reply dated 02.03.2017, stating that it is not possible to extend the loan waiver to other farmers at this juncture. Of course, it is a fiscal policy of the Government into which this Court cannot interfere with, but at the same time, as this Court has found that the classification of farmers is irrational, illogical and unreasonable, this Court has to necessarily interfere to do justice to the farmers. 32. We are aware that the financial situation of the Government is grim. The Chief Secretary to the Government in her letter to the learned Advocate General has also reiterated the same. The State Government has already singlehandedly shouldered the burden to the tune of Rs.5,780 crores and it will be an additional burden to bear Rs.1,980.33 crores. In this difficult situation, the Central Government cannot be a silent spectator. It should come forward to extend help to the State Government to share the burden. We are hopeful that the Government of India will share the burden with the State Government and extend maximum financial help to the State Government to tide over the situation. The Central Government is aware of the severe drought in the State of Tamil Nadu during 2016-2017. The entire State has been declared as drought hit. The farmers have started taking extreme steps to commit suicide. To save the farming community is not entirely upon the shoulders of the State Government, but on the Central Government also. So it is for the State Government to approach the Central Government seeking allocation of funds for this purpose. We are hopeful that the Government of India will consider this unprecedented situation prevailing in the State and extend its helping hands to the State Government to reduce the financial burden of the State Government. 33. In view of the foregoing discussions and conclusions arrived at by us, we are of the view that the denial of benefit of waiver of crop loans to the farmers who had cultivated lands exceeding 5 acres is a clear discrimination violating Article 14 of the Constitution of India. In such view of the matter, we hold that the petitioner is entitled for the relief as prayed for. 34. In the result, the writ petition is allowed with a direction to the respondents to extend the crop loan waiver scheme in G.O.Ms.No.50, Cooperation, Food and Consumer Protection (CC1) Department dated 23.05.2016 and G.O.Ms.No.59, Cooperation, Food and Consumer Protection (CC1) Department dated 28.06.2016 to all the farmers including the farmers whose land holding is more than 5 acres and we further direct the first respondent to issue necessary consequential order extending the impugned scheme to all the farmers and the said order shall be issued within three months from today. Consequently we restrain the respondents from initiating action against the farmers for recovery of the crop loan outstanding due to the Co-operative Societies / Banks as on 31.03.2016. Consequently, the connected miscellaneous petitions are closed. No costs. “They nothing ask from others, but to askers give, who raise with their own hands the food on which they live”. Yes ! it was the position of farmers 2000 years ago. Now ? 36. Before parting with this order, we record our appreciation to the petitioner who has fought for the voiceless farming community of the State. We place on record our appreciation for the exemplary assistance rendered with erudition by the learned Advocate General Mr. R. Muthukumarasamy. We also appreciate Mr. S. Muthukrishan, the learned counsel for the petitioner.